I didn’t think we’d be coming back with an Ariana Grande tattoo story so shortly after the previous one, but here we are! As you might have guessed, the intention was for the kanji to read exactly that, but 7 Rings is not what she ended up with at all. Thanks to the fact that she left out some crucial characters, what Grande ended up with forms the word shichirin, which refers to a small charcoal grill. So, Grande now has a barbecue grill on her hand. In her own defense, the artist said she left out the other characters because the pain was so intense and she “wouldn’t have lasted another symbol.” She also reassured everyone that she thinks it “still looks tight,” so there’s that. 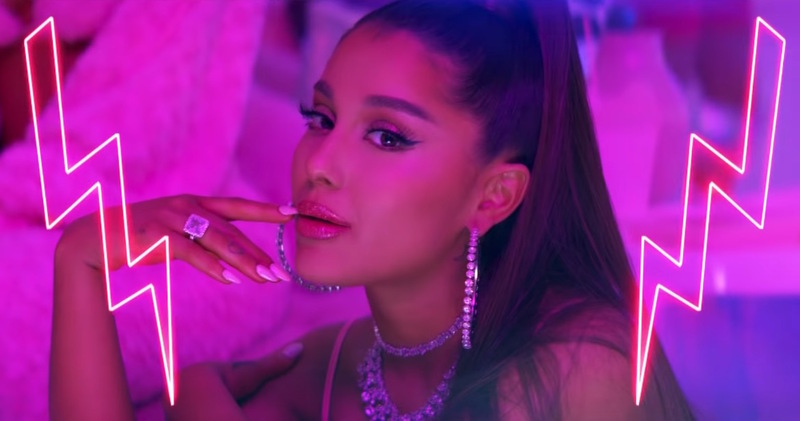 Considering the fact that she has folks who run an official Japanese Twitter account for her and the characters are correct in the “7 Rings” music video, there’s really no reason to goof this tattoo up so bad.